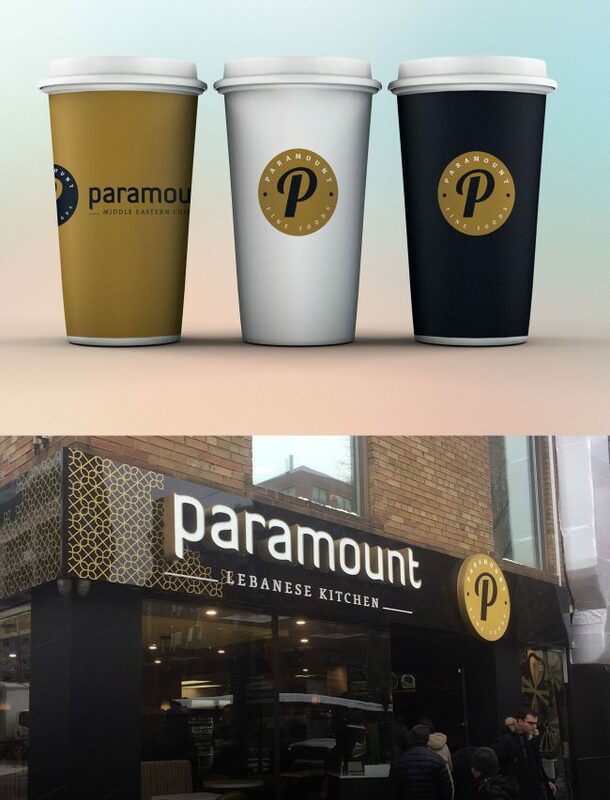 Paramount Fine Foods is one of the biggest and fastest growing Middle Eastern restaurant chains in North America, providing excellent fresh, healthy and authentic Lebanese cuisine in more tan 30 locations across Canada and USA, and a plan to open 60 new restaurants internationally in Dubai, UK and New York. 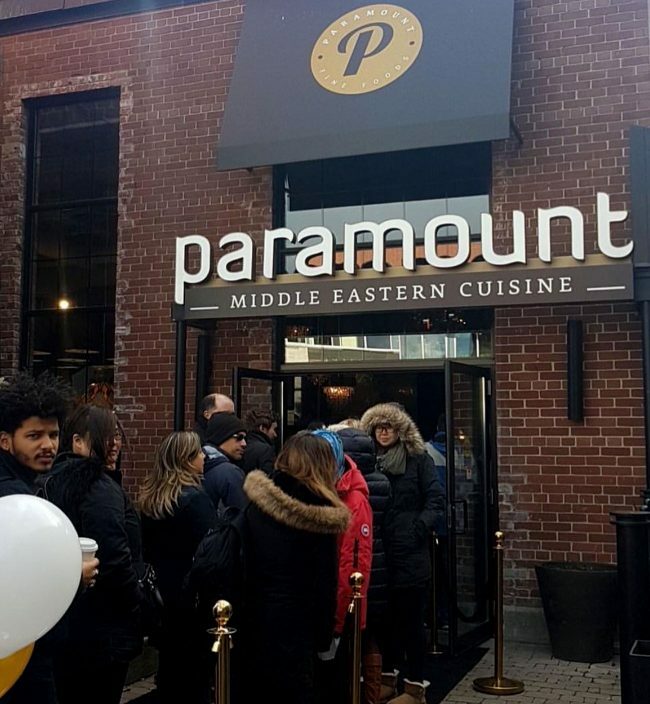 Paramount Fine Foods started as a single restaurant in Toronto, when the new CEO bought a small Lebanese restaurant that was going bankrupt. Under the new leadership, the restaurant expanded rapidly to become one of the most popular and successful chains serving Lebanese food in Canada. 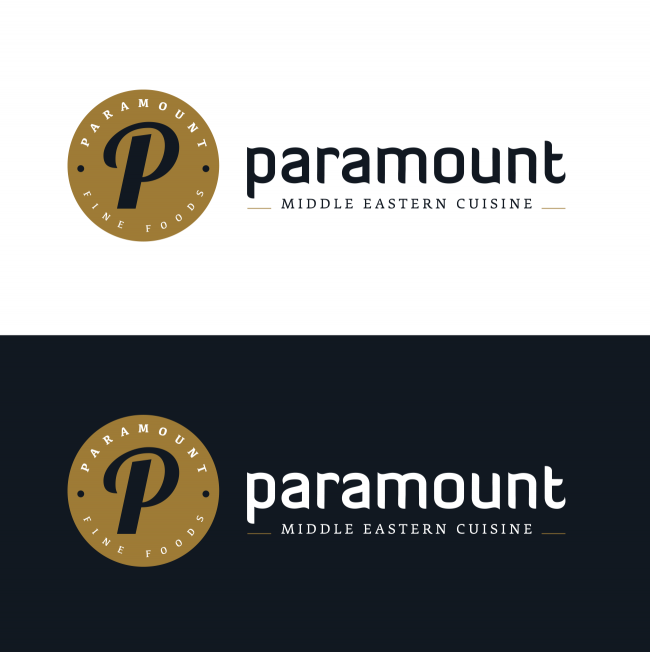 Tarek Atrissi Design was approached in 2016 to work on the rebranding of the company, in order to make the visual identity of the restaurants match the quality and success of Paramount Fine Foods. The re-design of the brand had to take into consideration the old existing logo, as the management did want to retain a subtle connection to the brand history. The old logo was an outdated poorly designed icon consisting of a circular earth icon with the letter “P” inside it. The new design developed by Tarek Atrissi Design kept the same basic elements of the old logo- the circle and the “P” letter- but presented it in a well polished clear logo that was simple, minimalist and recognisable. The re-branding visual language positioned the restaurant chain with a premium and elegant image. Black and a shade of gold were adopted as the company’s corporate colours, and the typefaces chosen had a subtle Middle Eastern visual flavour. The re-branding included designing all the basic guidelines that define the visual identity of the restaurant chain. A particular focus was dedicated to the application of the brand image and logo on the exterior facades of restaurants, which always changed in location, size, and overall context. The rebranding process included defining the brand architecture of Paramount fine foods, with a design of the mother brand logo for the holding company, and other sub logos for different type of restaurants operated by the company (Small vs Large Locations). The brand logo was created as well in an Arabic and a bilingual version, with a custom designed Arabic typography creating a logo for usage of new restaurants location across the Arab world.